If you have found this article then you are probably sitting in your restaurant on a slow Monday or Tuesday (hopefully not Friday!) wondering what you can do to get some money in the till! We were in the same boat six years ago a year after the Great Recession was apparently over, wondering what we could do to get out of the rut. 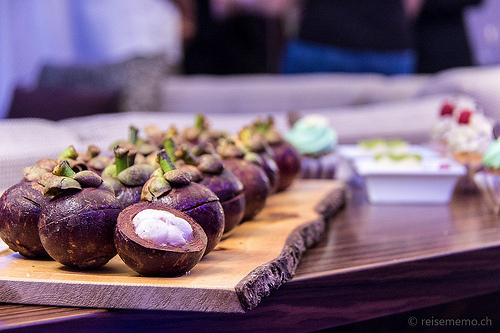 Well, here are 5 ways for quickly increasing restaurant sales ideas! These are just a few of the techniques we used to grow our sales by over 10% each year since 2012. I have sorted them in order of effectiveness of the speed of increasing sales. So while I view email marketing equally as important as implementing catering, it just takes longer to see results. If you have read any of our other articles you should know by now we are huge fans of catering. 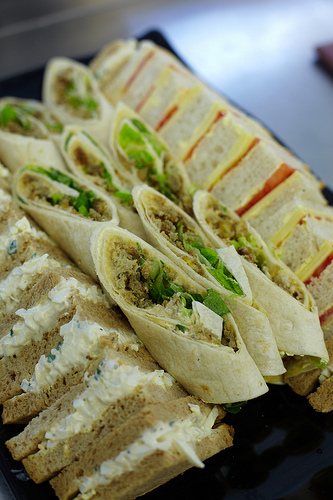 Offering catering services has been the fastest way we have increased our restaurant sales! The reason is because the average sale of a catering order is much larger than your average ticket at the restaurant. In the dining room you might only be serving 2-4 guests. Well on the average catering order you will be serving more like 20 guests. The sales start to add up quickly. Let’s walk through a quick example. Let’s say your average ticket in dining room is $15 per person and your average ticket for a 20 person catering is $250. In this example you would need to acquire almost 17 dining room customers ($250 average ticket/$15 average ticket = 16.67 customers) for each catering customer you acquire. If you only had enough money in your marketing budget to send out 50 postcards, would you rather send those to catering prospects or to individual homes in nearby neighborhoods? I hope you said catering prospects! As you grow your catering sales just like you have in the dining room with great food, friendly service and providing great value, the snowball effect is tremendous. Continuing on with this example, let’s say you and your staff just gave a couple on their anniversary dinner a flawless dining experience. Maybe the each tell 2 or 3 close friends that brings in 10 new customers over the next couple weeks. Extra $150. Not bad. For comparison, let’s say you were lucky enough to land a 20 person catering order for an office admin at your local college/university. Again, you execute this perfectly by arriving on time, bringing plenty of delicious food and maybe even dropping of a gift card to the decision maker (to visit the restaurant) to say thanks for the order. Maybe they are so impressed they tell two of their friends that work for two other departments who decide to give you a try for their next meeting. Oh, but one of those happens to be for a 200 person tailgate or graduation ceremony. Those referrals just led to over $2,000 in additional sales. This is why we strongly believe in offering catering services as it quickly increase your overall restaurant sales. This example really can happen to you. We brought food and set it up nice like we would for a full service catering even though it was for 10 people. Just from this presentation we landed a handful of smaller 20 person caterings and a 700 person gig for one of the bigger colleges! That $30 in food costs and couple hours of our time was the best money we ever spent. The same college then used us to do another 500 person graduation 3 months later. Go find your own bunco crowd to present to and start offering catering services today! Your sales will thank you. If you don’t have one of these yet, it is another good way to increase your restaurant’s sales. Customers expect you to have a birthday offer these days. If you have it in your marketing budget to concentrate on the dining room as well as catering I would recommend starting here. The birthday program is easily scalable to fit your budget as well. At a minimum, you would need to spend $200-300 a month but you could easily spend 2-3 times that if you like the results. For this program, you can buy a list of birthdays from people that live in your area. Depending on how big your town is this list could get quite large which can get expensive. We have the company pull a random sample of 1,000 names (only need 200 to get bulk postage rates) which costs us about $50. We then send this list a postcard offering them a free meal when they purchase one of equal or greater value. On this offer we average about an 8% response, so we get about 80 of these postcards back in the door. For about $10 per customer, you bring in potentially new customers and you get their contact information (mailing address from the postcard) that you can add to your database. Now $10 might seem a little high but these are highly qualified customers that have come into your restaurant. They received the postcard and made a conscious decision to give you a try. If your staff did their job then the next time you send out some marketing materials to your database, they will hopefully come back to your restaurant, increasing your restaurant sales. You don’t have to offer a free meal but just remember, the stronger the offer the better response. In 2015, according to one survey direct mail had a response rate of 3.7% and an average cost per acquisition of $19. We have doubled this response rate and halved the acquisition costs so we are happy with those numbers! Did you know over 16% of the country moves each month? That means you have new people moving next to you restaurant each and every month! Unfortunately, the revers is true as well, you are losing 16% of your customers each month. This program is basically the same as the birthday program except this list we buy is for people who just bought a house in the area. 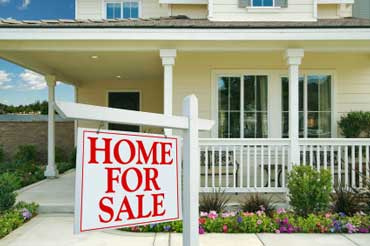 This list is only $32 and varies in size by how active the housing market is in your area. In our town the list averages 200-400 names. For this program, we send an offer for a free meal deal, without the buy one get one attachment. This is a lower food cost item for us but higher perceived value. We also get at least a 10% response on these. That is the beauty of taking control of your own marketing, you get to test different offers left and right! We also send a second notice to those who don’t respond to the first letter and get about 3-6% response on that for an overall response of about 15% to the list. This second notice technique is a proven strategy to get more responses with any direct mail or email campaign. Just like the birthday program, you now have newly acquired customers contact info that you can market to over and over again. This will lead to increased sales over time! If you are like us, before we started taking control of our marketing you probably don’t have a database. You need to change that quickly! I’ve mentioned it several times in this post and hundreds of times on this website. Building a customer database is the most important part of your marketing you can do. It is so much easier and cheaper to get your current customers to come back more frequently or buy new items then to acquire new customers. Just look at the last two examples, we are paying around $10 for new customers! Once you have a decent sized list you can start sending out postcards for about $.50 each! Since you already own the list there is no additional expense. You will also enjoy much higher response rates from your own list then the purchased lists from above. What I am trying to say is that your marketing becomes a numbers games and no longer is casting out a net and hoping for the best. The bigger your list, the more people respond to your offers, the faster your restaurant sales grow. There are several ways to grow your database but I will save that for another post. You should have multiple databases for your restaurant. One for your dining room, one for catering customers and your email database. Just like your database of physical mailing addresses, your email marketing also becomes a numbers game. The bigger the list, the bigger the response. Some email providers offer their services for free until you reach a certain level of subscribers. However, even after you start paying for it, the money is well spent. You don’t have to pay for each email so you can send as many as you want. However, I don’t recommend sending more than 1-2 per month. However, since you have multiple databases you can send to multiple groups of customers. One to your catering customers (with second notice to those who did not open the first) one to your dining room customers (with second notice to those who did not open the first) and one to that month’s birthday members (with second notice to those who did not open the first). Once you start collecting your customers information it is preferable send them birthday emails vs. postcards since you don’t have to pay for postage or printing. There are 6 emails you sent out in one month but your customers only feel like they got one! Obviously, there are many ways for quickly increasing restaurant sales ideas. However, if you are looking to get the most bang for your buck these are my top 5 recommended strategies. I encourage you to take action on these ideas. 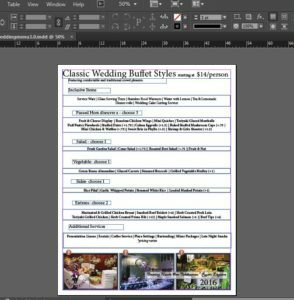 Print a catering menu. Call some mail houses in your area and get quotes for printing and the lists mentioned above. 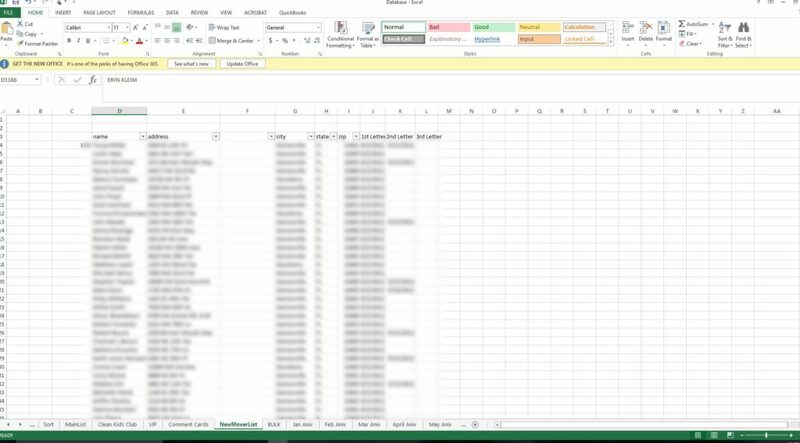 Create a database in excel right now! Sign up for a free email account. The sooner you start the sooner you will see results. Do you have experience growing restaurant sales? Let me know your favorite techniques in the comment section. This article is well timed! I have a friend in Dubai who is just starting out in the restaurant business. I’ll forward your article to him. 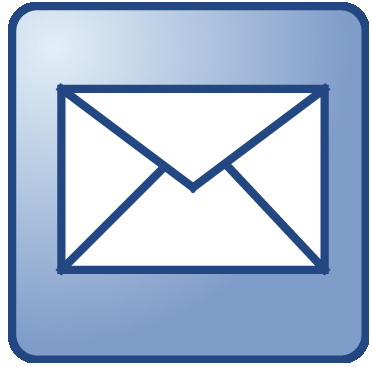 Great ideas and my personal favorite – email marketing. I have seen it work really well. Very informative, thanks for sharing. Thanks for the comment Sandeep. Feel free to have your friend reach out to us if they need additional help getting catering or marketing started with their new restaurant! Love the website, I am not in the restaurant business but I do give restaurants quite a bit of business. The five methods to increase sales are clear and precise, so I can see exactly what you mean. All the options are great but my personal favourites are the Birthday and New Mover options which I believe show serious initiative which any potential customer will recognise and get a “nice warm feeling” from. Thanks for the insight Michael, you are right. Our customer genuinely appreciate the birthday and new mover promotions! Thanks for this great, detailed post. I never thought about using the catering technique, this is absolutely genius and something I would have never of thought of. 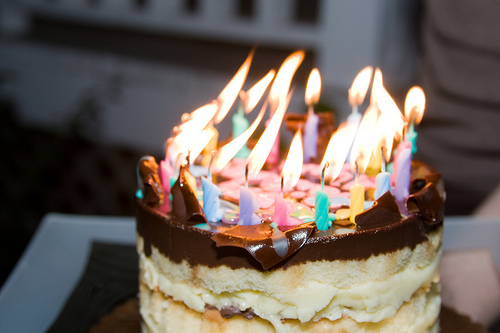 My favorite idea is hands down the birthday one though, offer these to your customers and you’ll be raking in the cash – there are so many people that expect these in a restaurant, usually bringing A LOT of people with them. And without using this idea you’re leaving money on the table. Well done on this article, definitely helpful. Thanks for the comments Brandon. Like I mentioned in the post, catering has been the fastest way we have grown our sales the last couple years just because of the higher average sale per catering order. These are great practical advice to restaurateurs and even those who’re not in the restaurant business can learn from your article. What is most relevant to me here is the email marketing aspect. It’s so true that every business should have a list whether it’s an online or brick-and-mortar business. It is something that I need to work on growing. Thanks for all your recommended business strategies. That is absolutely right Yvonne, we are big believers in building a customer database. It pays off with huge dividends down the road. 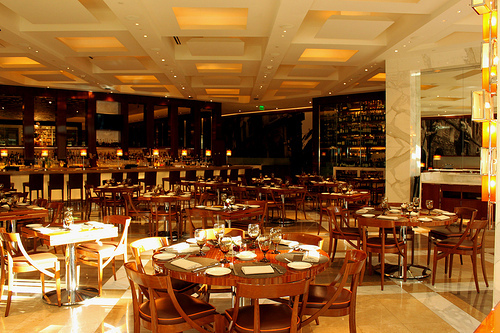 This article has some great ideas to increase revenue for struggling restaurants. My friend just opened up his dream business, a family restaurant just across the river from New York City in Hoboken New Jersey. I am definitely going to forward this article to him so it could help him to generate more business. Thanks! Hi Robert, thanks for reading the article. Please tell your friend to email me if they have any additional questions or if they would like any more advice with opening the restaurant they can download our eBook. 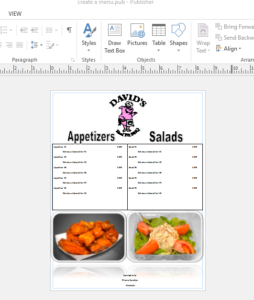 Next Next post: 5 Simple Restaurant Promotion Ideas That Work!